An anthrax outbreak in northern Russia, supposedly triggered by climate change, has led to the death of a 12-year-old boy and hospitalisation of many others in the region. 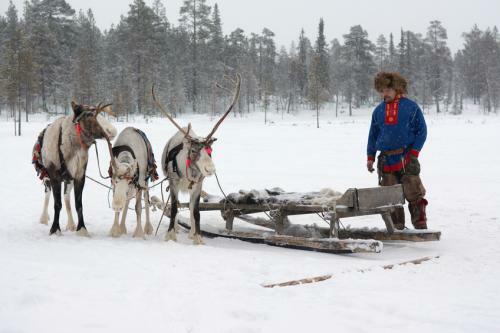 A total of 72 nomadic herders, including 41 children have been hospitalised in the town of Salekhard in the Arctic Circle, after reindeer began dying en masse from anthrax, reported The Gaurdian. After the death of 2,300 reindeers due to the outbreak, the area has been evacuated to prevent any further spread in humans. Anthrax is a bacterial disease caused by Bacillus anthracis. As per the World Health Organization, it primarily affects herbivorous mammals, although other mammals and some birds have been known to contract it. Humans generally acquire the disease from infected animals or as a result of occupational exposure to contaminated animal products. Authorities believe that the outbreak is linked to climate change. For the past month, the region has been experiencing abnormally high temperatures that have reached 95F or 35°C. The warmer climate has led to the melting of permafrost soil, including areas used as human and animal burial grounds, which could have resulted in the outbreak. According to Popular Science, the roots of the recent outbreak can be traced back to the previous one that occurred in 1941. It suggests that spores of the dormant anthrax from the corpses of reindeer or people who died of anthrax in the 1940's might be responsible for this latest wave of infections. Recently, officials from the Animal Husbandry department recently contained a wave of anthrax in Tamil Nadu’s Ambur village. More than 8,500 livestock have been vaccinated in and around the affected village of Bairapalli in Mittalam following the death of an animal due to anthrax attack last week, The Hindu reported.